So, in order to give myself some creative direction with Millie, I made up weekly themes. The idea is each week I'll be looking for and creating opportunities for learning and creating and having fun. This week is hat week. We're going to look for hats, count hats, color and draw hats, learn about different kinds of hats, wear hats, etc. I'm excited about the possibilities. I would LOVE for others to join us in our themes, help us think of crafts and projects and ideas to celebrate learning each week. So what do you say? 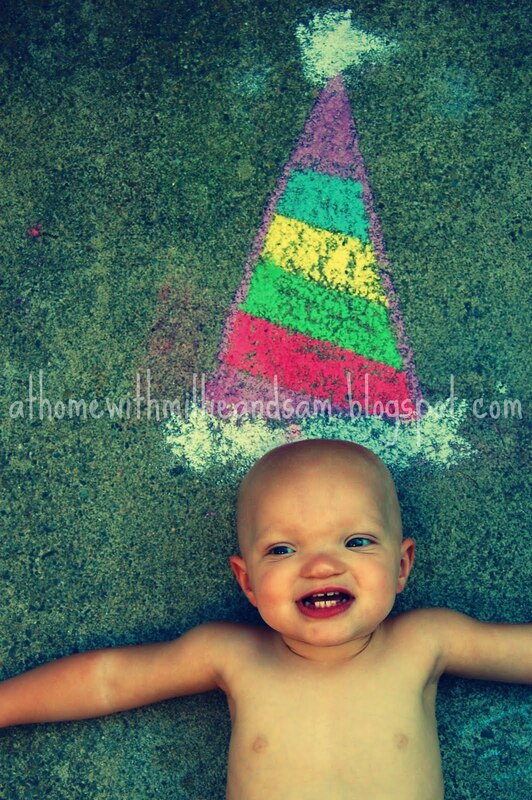 For more ideas on hat week, visit: Busy Babies! I love this! I have weeks already planned out for Wesley too! I am starting in September. I used to work in a daycare and during the school year, each week had a theme that basically went with what they were learning. In the summer time we had really fun themes like camping and ocean week. My mom worked there too and we would combine our classes for lots of things. On farm week we would make homemade ice cream! My mom also let our kids "milk a cow"! She had a poster of a cow and attached a rubber glove underneath the poster. She filled the glove with water and poked a few holes in the fingers of the glove, then let the kids "milk" the cow into a bucket! It was so much fun and the kids loved it! Ooooh space week was another fun week. We did moon walks and they dressed like astronauts. I think Wesley is really going to enjoy weekly themes, and Ive been so excited about finally starting!